Tax reform has dramatically changed real estate investment, even though most investors don’t know the new rules. Find out what changed and how the new Opportunity Zones could change the investment landscape. The webcast will include speaker presentations followed by an interactive Q&A session. The tax reform induced economic surge has supercharged the economy, sparking job creation and consumption. Look forward to the coming year, and prepare for a very dynamic office & industrial investment outlook. 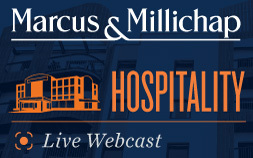 The webcast will include speaker presentations followed by an interactive Q&A session. The tax reform induced economic surge has supercharged job creation, potentially sparking a wave of household formation. Look forward to the coming year, and prepare for a very dynamic multifamily investment outlook. 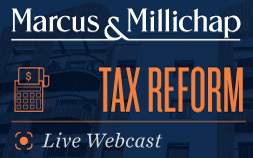 The webcast will include speaker presentations followed by an interactive Q&A session. Behind the headlines – what’s really happening in retail investments. What to expect in 2019 and why a contrarian investment into retail could be the smart play. Prepare for a very dynamic retail real estate investment outlook. 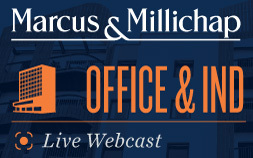 The webcast will include speaker presentations followed by an interactive Q&A session. The tax reform induced economic surge has supercharged business and consumer confidence, driving hotel occupancies to record levels. 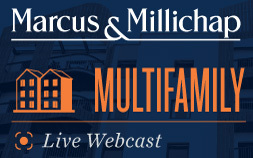 Look forward to the coming year, and prepare for a very dynamic multifamily investment outlook. 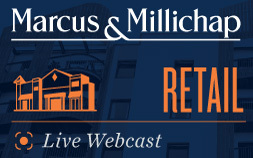 The webcast will include speaker presentations followed by an interactive Q&A session.